The auction is set to commence at 2pm on November 9, and registration is open from 1pm. Open viewings are in full swing on Wednesdays and Saturdays. The open viewings have been good on all properties with certain properties showing huge potential. Stunning three bed detached residence standing on a lush mature site of approximately 1.6 acres. Presented and maintained in showhouse condition with careful attention to detail and decor throughout. Surrounded by a number of sheds and a two storey outhouse/office with enormous future potential. Walking distance to Attymon National School and the train station. This spacious two bed ground floor apartment is ideally located in the city centre. Glor Na Mara is a well-managed gated complex close to Galway's main commercial area, around the corner from the city's docks and strolling distance to the famous Quay Street and Spanish Arch. Accommodation comprises an entrance hall, open plan living room/kitchen/dining room, two double bedrooms, and a main bathroom, and the apartment overlooks New Dock Street. Built c1998 this property has its own door access to the main street and rear access to a communal courtyard with mature plants and shrubs. The property also benefits from full planning permission to convert the apartment to a commercial unit if preferred. No 1 Glor na Mara would make an ideal holiday home, starter home, or a great investment opportunity for a shrewd buyer. Mid-terrace property only a 10 minute stroll from Eyre Square. The property is ideally located close to many retail and industrial parks including Liosban and Wellpark, as well as being within easy access of GMIT and NUIG. This is a rare opportunity to purchase a first time home or alternatively a gilt edged investment property with all year round letting potential. Three bed detached original farmhouse in need of some modernisation and a wonderful DIY project. Beautiful location just moments from the village of Barna village. Stunning three bed duplex apartment with balconies overlooking the docks. Ideal owner occupier residence, holiday home, or gilt edged investment property. Convenient location with ease of access in and out of Galway city. Quay Street and Galway’s bus and rail stations are just stroll away. Four bedroom mid-terrace residence in need of renovation and upgrading throughout. The property is located on the upper Ballymoneen Road and is on a regular bus route to and from the city centre. This is an ideal opportunity to purchase as an investment or starter home. 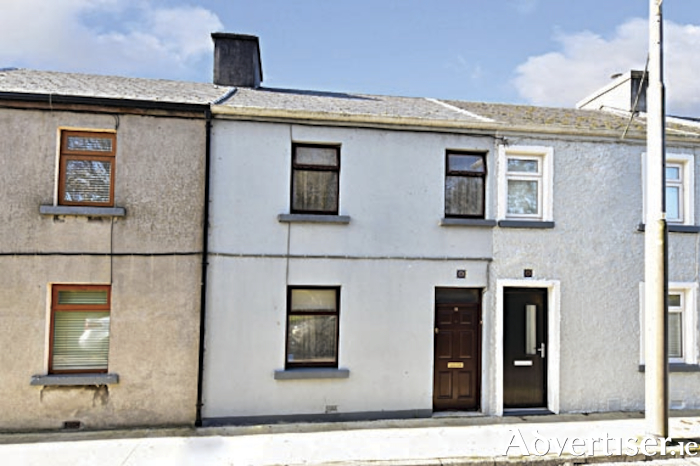 Three bedroom ground floor apartment located within easy access of Galway city centre. The accommodation comprises entrance hall, kitchen/dining/living room, three bedrooms (one en suite ), and bathroom. The property is being sold with tenants in place and the passing rent is €795 per month. The property is presented in good condition throughout. This property would provide an ideal investment. Folio GY7288L. Originally constructed in the 1960s, the property is presented in excellent condition. Renmore is one of the most popular residential suburbs in Galway. With excellent transport links giving ease of access to Galway city and other areas, the suburb also offers close proximity to GMIT, Merlin Park Hospital, Bon Secours, and Galway Clinic. There is an abundance of excellent amenities on the doorstep. The property is located on the west side of Galway city in the popular and highly desirable area of Shantalla, just a stone’s throw from UHG, NUIG, and the city centre. The location makes this an ideal owner occupier home or gilt edged investment. Corrib Terrace is located close to the River Corrib and the railed park in Woodquay. Number 11 Corrib Terrace is a townhouse that ticks all the boxes for anyone wishing to live in a central location. As with all properties of its age, it will benefit with some modernisation . Three bed mid-terrace house with off street parking and a large rear garden. Sold with tenants in place and a rental income €750pm. Would make an ideal investment or a lovely family home. Doughiska is a well serviced area on the outskirts of Galway city, with easy access to the Dublin/Limerick/Tuam motorways. Three bedroom ground floor apartment located just off the Headford Road within 5km of Galway city centre and close to all amenities. The property is situated in a well maintained development managed by Winters Property Management with communal car parking. The property is currently rented and is being sold with tenants in place. Ideal investment property. Formerly the Joshua Tree Bar, located in the centre of Dunmore just 15 minutes from Tuam. This is a mid-terrace building with main road frontage. Comprises a ground floor bar with storage/meeting rooms on the first floor. Ideal opportunity to change to mix of commercial/residential property. This lost comprises 3.5 acres of agricultural land just off the M17. Folio GY 71538F. Full details are available on www.odonnjoyce.com to view the full list of properties on offer, including properties in areas such as Galway city and county, Mayo, Roscommon, Leitrim, Sligo, Donegal, and Limerick. Details are available from the auction team at O’Donnellan & Joyce auctioneers, 5 Mary Street, Galway, phone 091 564 212 or email [email protected]. Page generated in 0.1349 seconds.